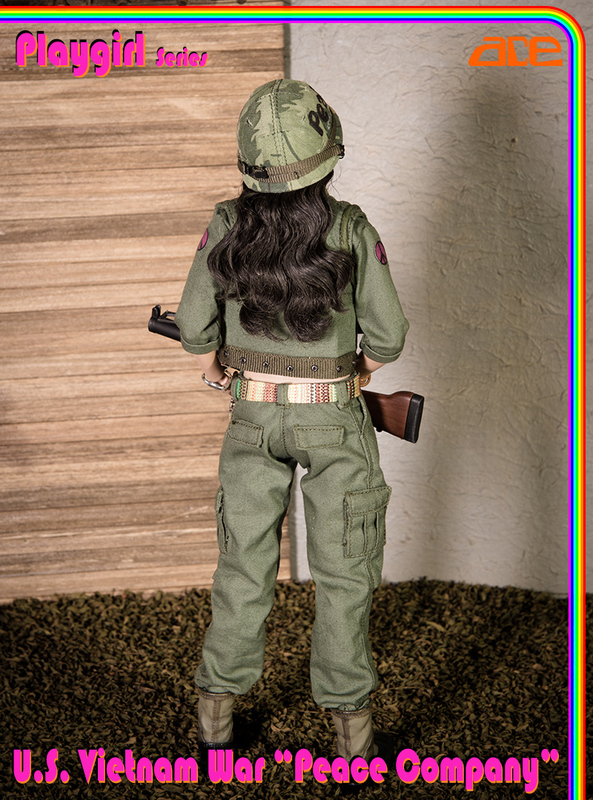 NEW PRODUCT: ACE: Playgirl Series 13034 U.S. Vietnam War "Peace Company"
OneSixthFigures » Forum » General Talk » NEW PRODUCT ANNOUNCEMENTS » NEW PRODUCT: ACE: Playgirl Series 13034 U.S. Vietnam War "Peace Company"
Another one? Very nice set, even if effectively fantasy. Since she follows on the blonde, I can't help but think of Three's Company, which of course has nothing to do with this. 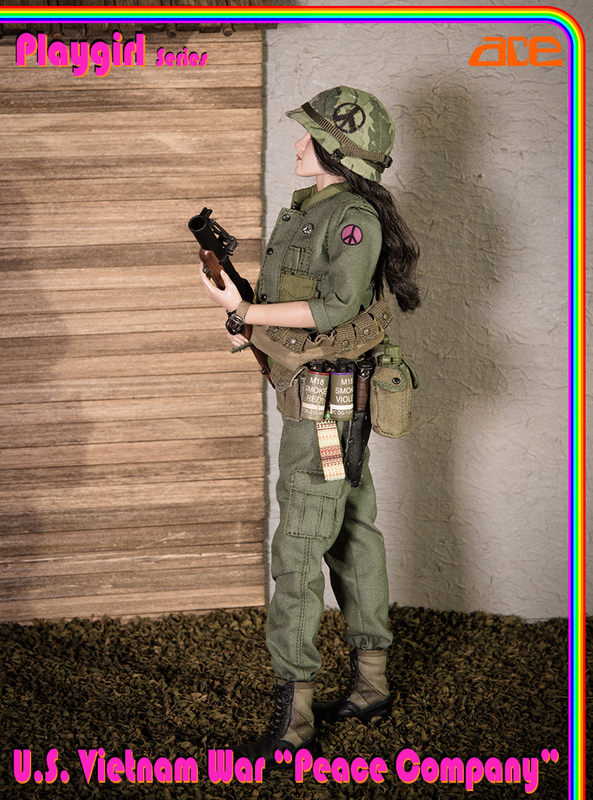 If they do a third one, it’ll be more like Charlie’s Angels, the ‘Nam Years. 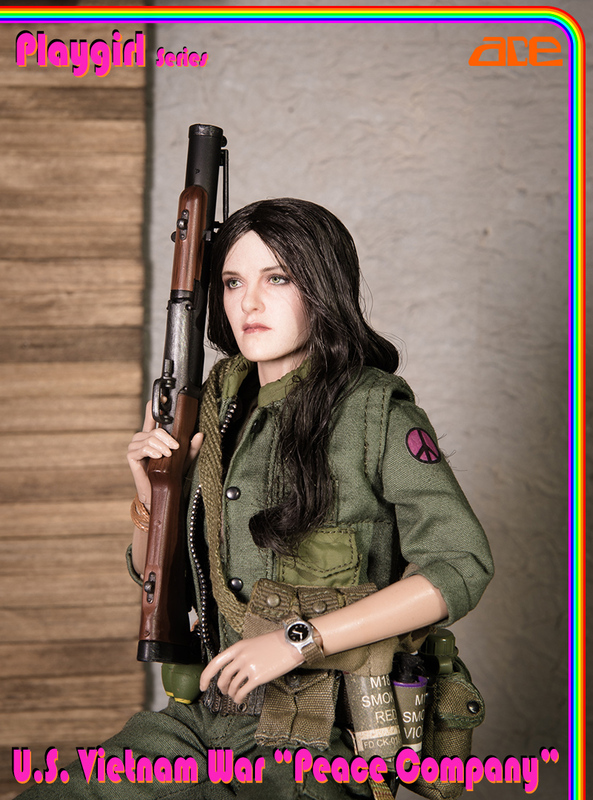 I do like the HS, it has a bit of a "thousand-yard stare" going on. Good for modern military & PMC bashes. 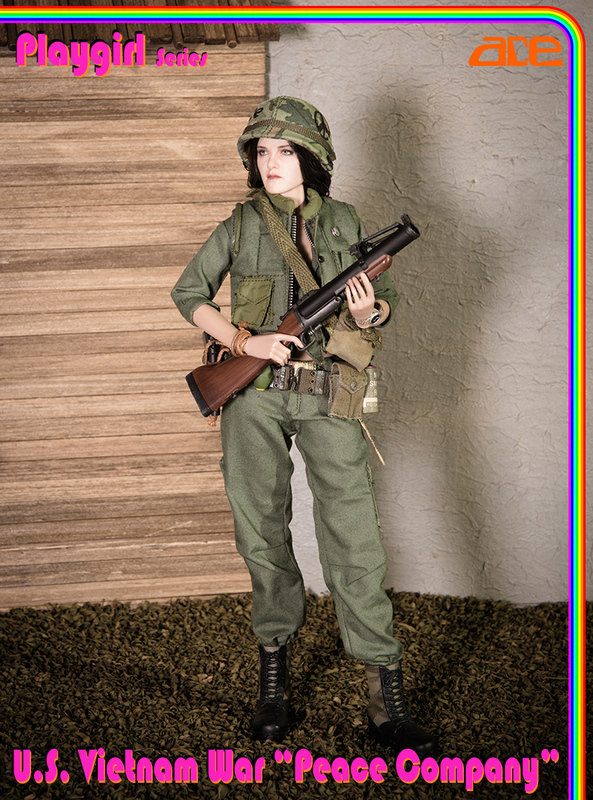 Even though this is all fantasy as mentioned by the esteemed GubernatorFan, I'm sure fans of the Vietnam era will find the uniform and flak jacket useful maybe for a nurse bash a la China Beach. Weapons and gear are also great bash fodder. 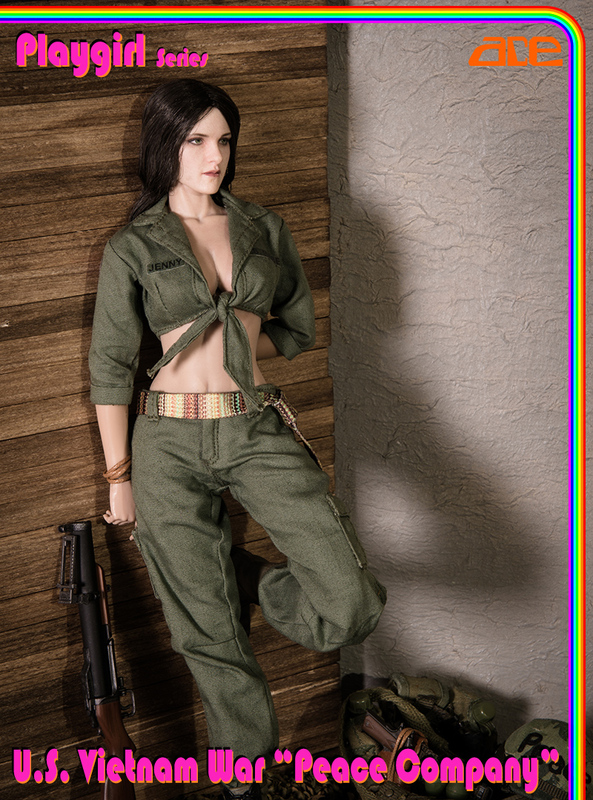 She reminds me of Lynda Carter. 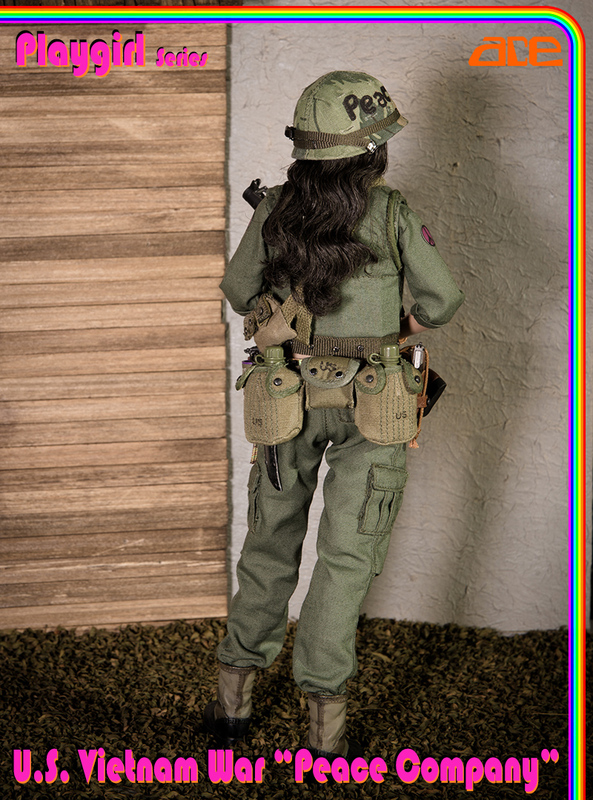 The helmet might be a decent size for male figures as some of the others I've seen for them look somewhat oversized. Damnit. 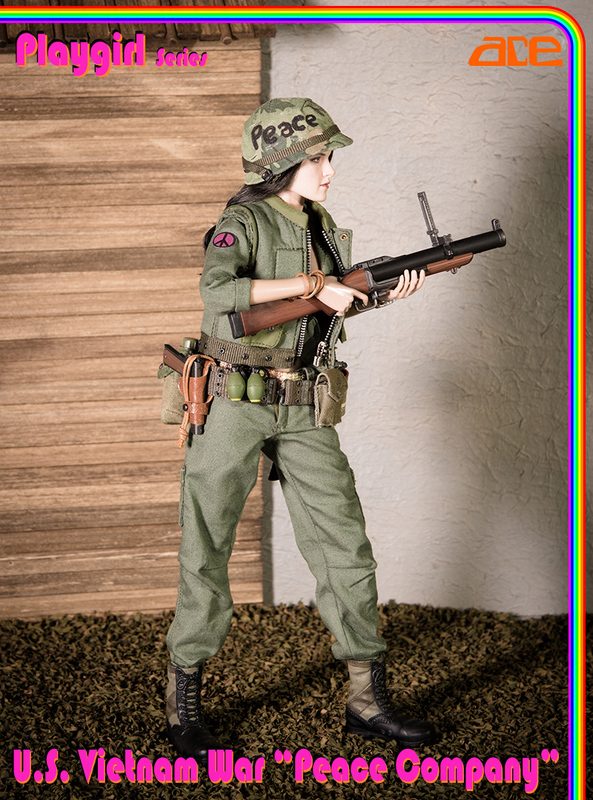 I was looking at the first few photos wearing the flak jacket, thinking....wow....remove the jpeace symbols and could make a gi nurse but then came the rest of the photos with the usual tarty look. 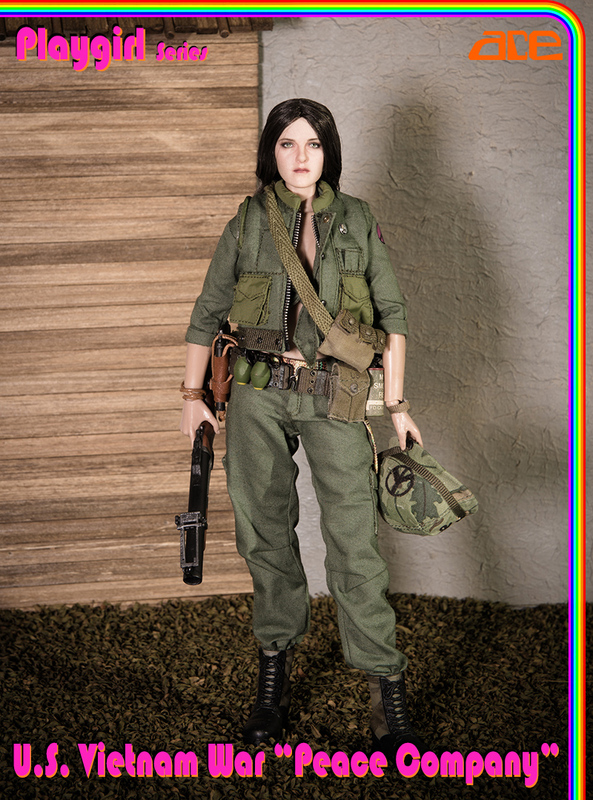 7 Re: NEW PRODUCT: ACE: Playgirl Series 13034 U.S. Vietnam War "Peace Company"